What's So Funny About SUPERMAN VS. THE ELITE? Superman is the world's first comic-book Super Hero, with a history now spanning 80 years. The Man of Steel set a standard by which all other heroes followed, but his purity of purpose has made him stand out in an age of morally ambiguous anti-heroes. Starting in the late '80s, and continuing well into the early 2000s, the comic book industry was inundated with supposedly heroic characters who had no problem killing their enemies, and could care less about the collateral damage their battles with Super-Villains might cause. These "ends justify the means" protagonists became a staple of the era. How does a so-called "boy scout" like Superman fit into a world like that? 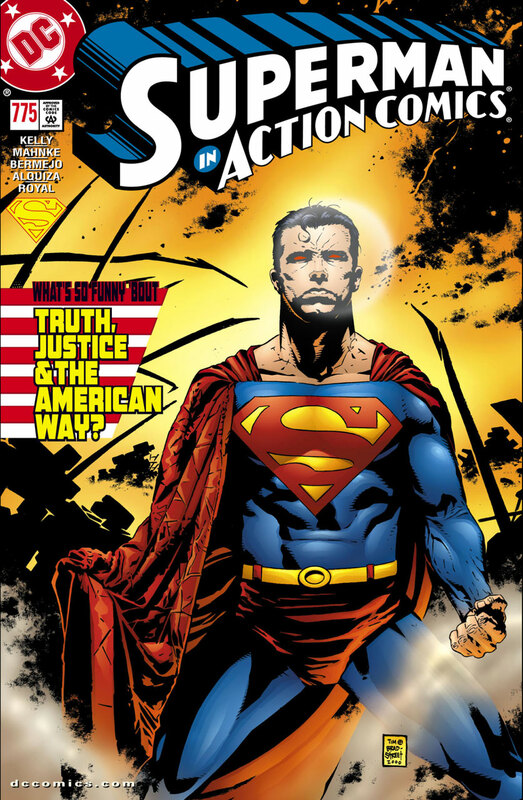 That was the question posed by the classic Superman story "What's So Funny About Truth, Justice and the American Way?" -- which ran in Action Comics #775 back in 2001 -- and its 2012 animated film adaptation Superman vs. The Elite. Both versions of the story can now be experienced on DC Universe. The creative team of writer Joe Kelly and artists Doug Mahnke and Lee Bermejo crafted this tale, examining why a hero like Superman can never afford to lose his moral compass, even in the face of absolute evil. The story has proved so popular that the characters introduced in it have even made their way into this season of Supergirl. But just who are the Elite? The Elite were introduced as a team of four metahuman "heroes" who were led by a man by the name of Manchester Black, a telekinetic from the UK with a sarcastic edge and a dangerous disposition. The other members of the team included Coldcast, a powerfully large and muscular man who had the ability to manipulate electromagnetic fields, the female shapeshifter Menagerie, and The Hat (perhaps the Elite's most powerful member) who possessed a magic hat from which he could pull almost any object he desired. Eventually, the team added Manchester's sister, the psionic cyborg Vera Black. The Elite were a fairly on-the-nose homage to Wildstorm's wildly popular super team The Authority, an equally morally questionable team that was making waves at the time, and who existed outside the DC Universe. In their first appearance in Action Comics #775, the Elite make a name for themselves when they manage to prevent a terrorist threat in the Middle East, which just so happens to come from a gigantic genetically-enhanced ape. The Elite kill the terrorists in cold blood, but many innocent bystanders also wind up dead. When Superman learns about the Elite from the media, he's horrified by these latest "heroes" and their lack of morality, not to mention their dismissive attitude about killing their enemies. Even more maddening for the Man of Steel is the public's embrace of the team's brutal tactics. With support for the group growing in great numbers, Superman asks himself if the world no longer needs him, and if he has finally become passé. Superman finally meets the Elite in person, after the group murders a team of Super-Villains, and he calls them to task for what they've done. As he argues with the Elite over their actions, Manchester Black casually dismisses Superman as a relic of the past, and that brutal villains must be handled with equal brutality. In his belief, if Superman can't change with the times, then he's outlived his usefulness. Ultimately, the Elite challenge Superman to a fight on one of the moons of Jupiter, to show everyone why his methods are outdated and naive, a fight which would be broadcast to the world. Ultimately, their plan backfires on them. Superman finds a way to defeat the Elite without killing them, and publically humiliate them as well. I won't spoil exactly how the Man of Steel does this – you'll just have to read the story or watch the animated film to find out. But he makes a strong point as to why abandoning ethics in order to win is never the right option. Joe Kelly adapted his own story in scripting the film Superman Vs. The Elite (in which Manchester is voiced by Robin Atkin Downes, opposite George Newbern's Superman). But aside from a few minor changes here and there, and adding Manchester's sister Vera to the original tale, the animated movie keeps very true to the spirit of the comic book. 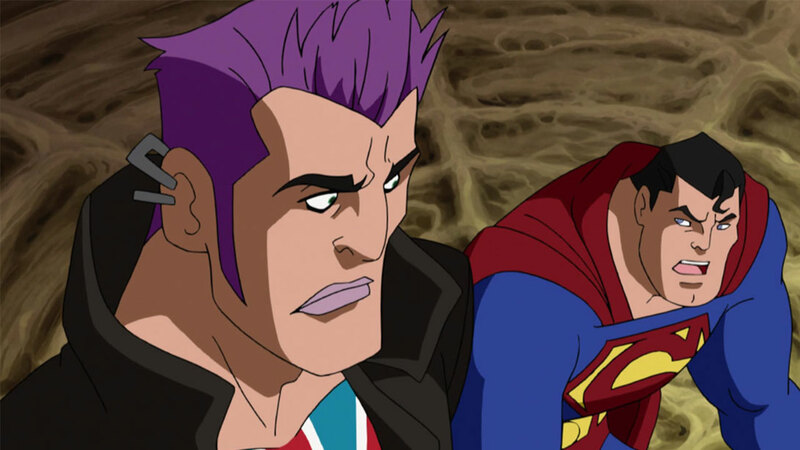 Yet it also expands the original comic's themes, by giving a bit more nuance and backstory to Manchester Black -- elements used in the character's depiction in Supergirl (in which he was played by British actor David Ajala). 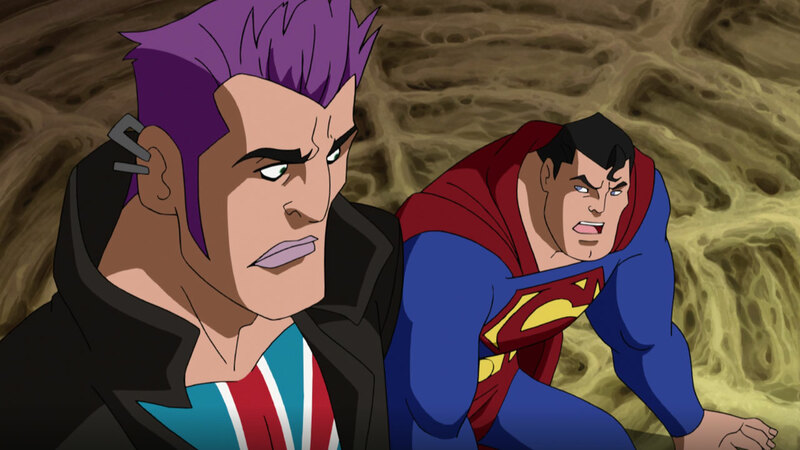 There are few comic-book antagonists who embody the antithesis of what Superman represents more than Manchester Black and the Elite, so it's only a matter of time before they appear once more, either in print or on the screen. Are you a fan of Superman Vs. the Elite? Let us know in our Community!